When accidents happen on the water, the effects can be devastating. At Public Safety 6X, we want to help. We offer a number of services to make filing insurance claims and civil cases run smoothly. We have years of experience working on the water, and we know how to work with a number of different cases, including scuba diving accidents and surfing accidents. Learn more about the variety of situations we investigate. The team at Public Safety 6X is dedicated to offering professional help with boating accidents to every client we meet. Let our team of professionals investigate your accident and help with your case. Public Safety 6X is a leader in expert witness consulting. Our Redondo Beach, California-based company provides technical expertise across the public safety sector. We offer investigative services, reports, and testimony when technical and operational answers are needed to resolve litigation and insurance claims. We have several core values that help lead the course of our work. These include integrity, courage, and caring, as well as commitment and community. 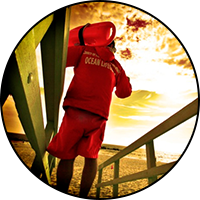 Our knowledge of the field comes from years of experience working with the water safety divisions of the Los Angeles County Fire Department. Our founder has been recognized for his service on a couple of occasions. In 2008, he was awarded a Quality and Productivity Award from the Los Angeles County Board of Supervisors as well as an Achievement Award from the National Association of Counties. Both were given in recognition of his Personal Watercraft Training Program.